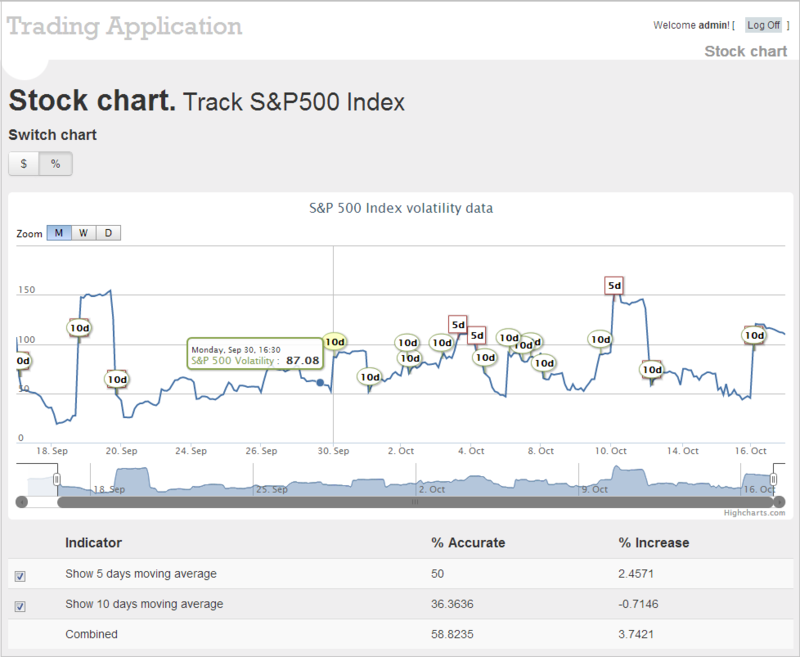 This trading web application was designed to analyze S&P 500 index and its indicators. Application draws graphs based on the data of S&P 500 index, to track when the index crosses the value of indicators to display these places on the chart and count 2 of the financial indicator. NIX Solutions developers made the app interface simple with graphs and tables. Application calculates and displays index value, percentage and indicators. QA and Testing: 1 person, .Net: 2 persons, Management: 1 person.